Raspberry Pi is also suitable as a media player. Only it's analog audio output does give a good quality it's very poor quality makes it hard to use it in a media player project. The sound quality has always had a bad reputation. And rightly so. It's fair to say that Raspberry Pi was not made for audiophile applications, which is why we do not want to make too many demands on the audio output. It is always enough to learn and experiment. If you need a very good sound quality, you can pick up the audio signal from the HDMI output. Since the sound comes out digital. Here you can connect an AV receiver, TV or monitor with speakers. Why is the analog audio output of a Raspberry Pi so bad? In addition one must say that for cost reasons simply no better design and no real digital-to-analog converter (DAC) was installed. The analog audio signal is generated with a pulse width modulation. Of course that's the worst way to create an audio signal. Furthermore, the Raspberry Pi is electrically simple design, which is why it has a fairly high background noise, which is extremely noticeable. In addition, the audio signal sounds like a portable radio and not to HiFi. To make matters worse, that the audio output can capture interference in various ways. For example, via ground connections at the network cable, engine noise through USB hard drives and other USB devices with external power supply. The solution is unscreened network cables or a WLAN stick. In addition to the analog audio output, there is the possibility of audio output via HDMI. There is no noise and no hum here. If you need a jack output, then you can not get around an additional audio extension. There are different possibilities here. USB sound cards have a disadvantage. Because of architecture, USB and network ports hang on a single internal USB port, it can be narrow with the total bandwidth. At least there are the USB sound adapters for a few dollars, which is not a big investment. If the specific application has problems, then you did not break much. 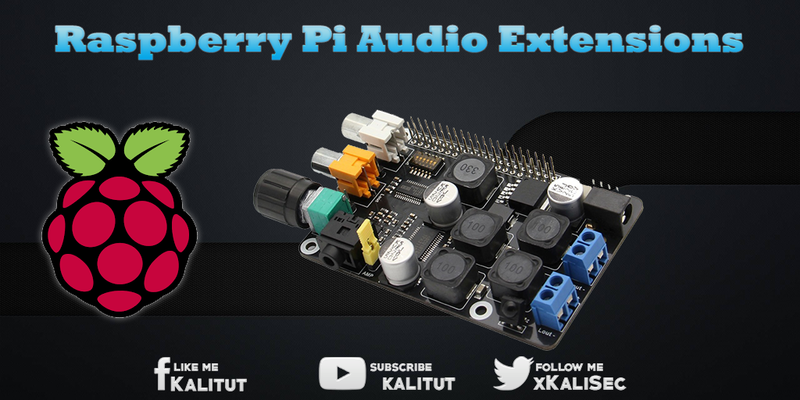 For just under 20$ you can extend Raspberry Pi with a sound card via the GPIO. The audio output sounds quite reasonable. These plug-in boards get the digital audio data stream directly from the CPU via the GPIO pins. This eliminates interference from the USB. Popular are "HiFiBerry DAC / DAC +" and the "Cirrus Logic Audio Card" (formerly Wolfson Audio).